Hiking through Swiss National Park and enjoying the stunning views of Champlönch. 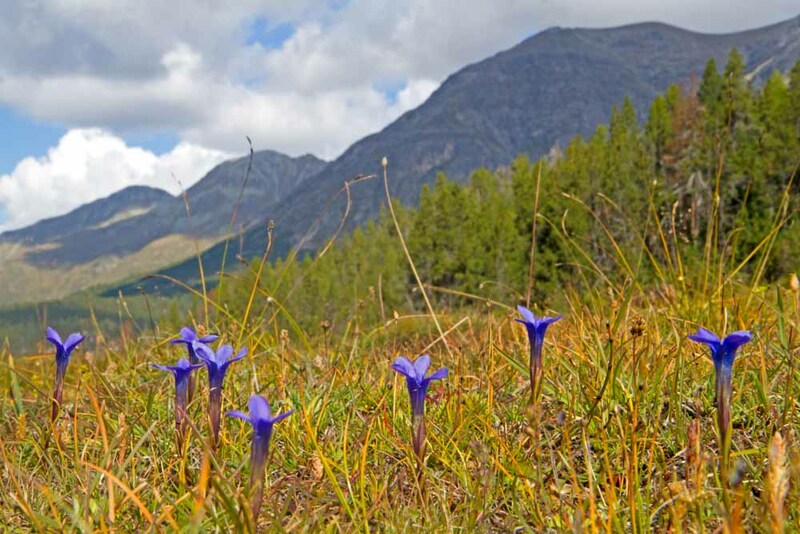 Pretty trumpet-shaped gentians growing in the Alpine meadows of Swiss National Park. 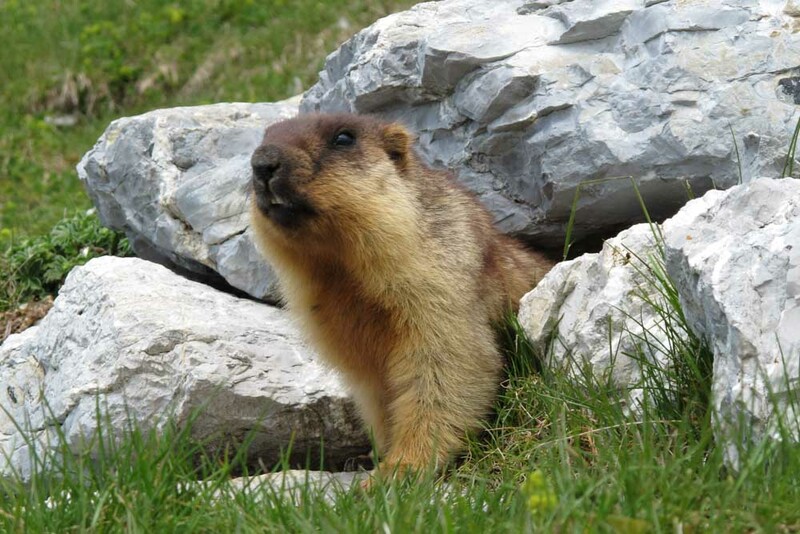 A curious and fluffy marmot emerges from the boulders. Hiking the trails in Swiss National Park. 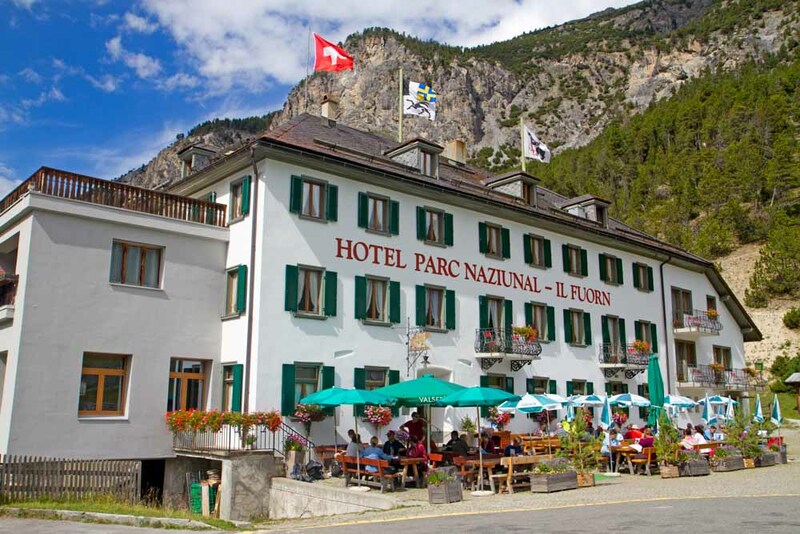 After a hike, a refreshing beverage awaits at Hotel Il Fuorn. If national parks bring to mind images of footslog and heavy backpacks, Switzerland’s two national parks will come as a pleasant surprise, writes Andrew Bain. Marmots whistle an Alpine soundtrack as I hike through a grassy clearing above Il Fuorn. Bare rocky peaks tower overhead, and 80 kilometres of walking trails fan out across the slopes and valleys. But for all that, Swiss National Park is yielding easily as I stroll towards lunch. Resting against Switzerland’s eastern border with Italy, amid a beautiful collection of mountains, Swiss National Park is the oldest national park in the Alps. Of its 21 hiking trails, 12 are graded as easy, offering a gentle glimpse of its mountain wildlife and the peaks that frame the trails. Access couldn’t be simpler, with the park cut by one main road, which is strung with nine parking areas from where the trails begin. Postal buses from the town of Zernez at the park’s edge also run along this road, stopping at the parking areas, making it easy to hop on and off for short explorations. 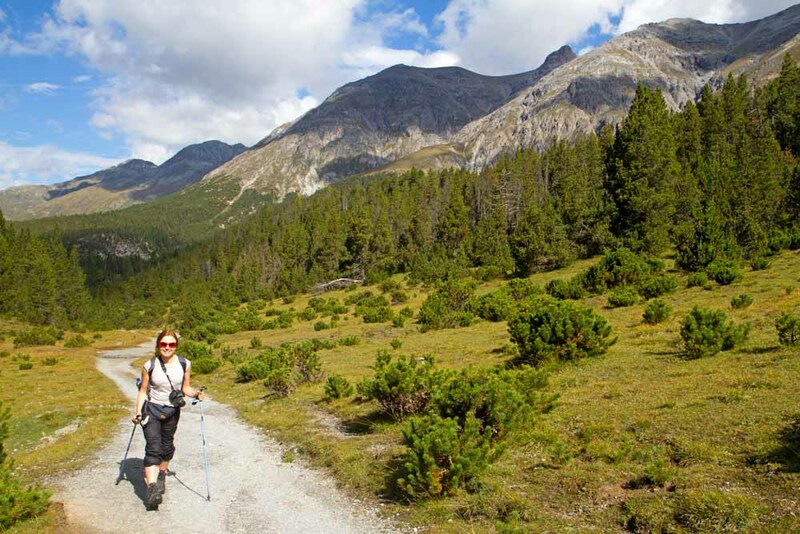 I’m walking one of the easy trails, strolling for two hours between the Alpine meadows of Champlönch and the Hotel Il Fuorn, where lunch and a beer awaits. The gentian-covered meadows of Champlönch offer open views of the surrounding mountains, and across the slopes high above I can see red deer moving among the boulders. Before the national park was created, the deer were locally extinct, but today there are almost 2000 here, along with other returning wildlife including golden eagles, ibex and, more recently, even bears. 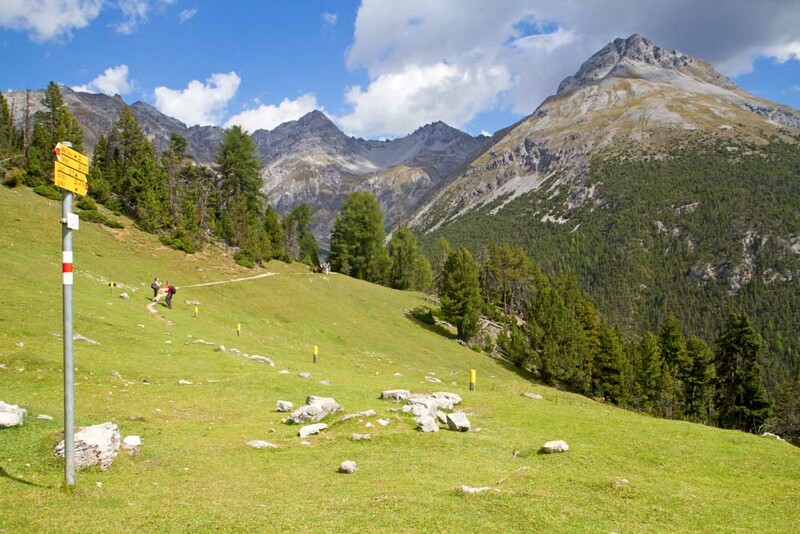 Through pine forest, the trail descends to the Hotel Il Fuorn, a traditional chalet that’s one of only two accommodation options in the park, and the only one you don’t necessarily have to hike to reach. Staying at the hotel provides another classic park experience, as each morning and evening the meadows that surround it are crowded with grazing deer. At the moment Swiss National Park is Switzerland’s only national park, but soon it will be joined by a second one in the southern canton of Ticino. The proposed Locarnese National Park will cover an area encompassing 500 kilometres of hiking trails, but as I drive into its centrepiece – the deep and narrow Onsernone Valley – hiking is the furthest thing from my mind. The national park is being established here to protect the cultural values of 13 villages inside its boundaries. In Berzona, claimed as Switzerland’s sunniest town, I watch women from a local cooperative braid straw into hats, reviving what was once the village’s major industry. In Vergeletto, local resident Ilario Garbani has restored one of the village’s five water mills, and now grinds corn flour once again to make the likes of pasta, biscotti and a local corn beer. Finally I do walk though. From the road’s end in the village of Spruga, an easy trail winds down to the Isorno River. As I cross the river to the Bagni di Craveggia, I’m also crossing a border. With no fuss or fanfare I’ve hiked from Switzerland into Italy. Like so much in Swiss national parks, this experience also yielded easily.